Today marks the seventh anniversary of Apple passing U.S. oil giant ExxonMobil to become the world’s most valuable company for the first time, with a market capitalization of around $341.5 billion at the time. Apple achieved the milestone on August 9, 2011, just over two weeks before the late Steve Jobs resigned as CEO on August 24, 2011, the same day that he nominated then-COO Tim Cook to succeed him in the position. Jobs passed away on October 5, 2011, following a lengthy battle with cancer. Apple dropped back below ExxonMobil a few times, and was briefly surpassed by Google parent company Alphabet in market cap at times in 2016, but the iPhone maker has been the world’s most valuable company for the better part of the past seven years, and continues to hold that title today. Apple becoming the world’s most valuable company was a remarkable accomplishment given that it flirted with bankruptcy in the mid-to-late 1990s, until Jobs returned and streamlined its product lineup. Under his leadership, Apple introduced several hits, including the iMac, iPod, iPhone, and iPad. Apple has continued its success under Cook, becoming the first publicly traded U.S. company worth a trillion dollars last week, shortly after reporting record-breaking $53.3 billion revenue in the third quarter of the 2018 fiscal year. Apple’s stock has appreciated over eight percent since the results came out. Apple will look to build upon its success by expanding its focus on technologies such as augmented reality, autonomous driving, and artificial intelligence, in addition to services like Apple Music and its upcoming Netflix competitor. Samsung this morning debuted its latest flagship smartphone, the new Galaxy Note 9. 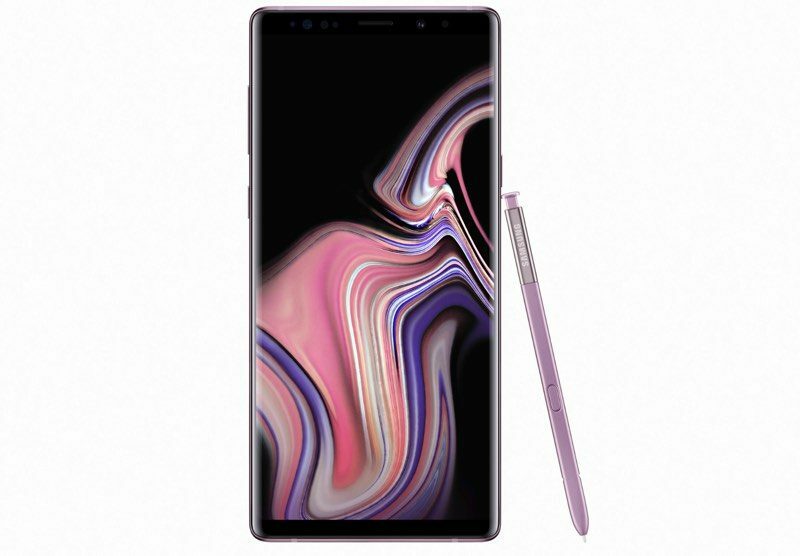 The Galaxy Note 9 is equipped with a 6.4-inch 2960 by 1400 Super AMOLED screen, and like previous Note models, it works with the S Pen stylus. Design wise, it looks quite similar to the Note 8. Inside, the Galaxy Note 9 features Qualcomm’s Snapdragon 845 processor, 6 to 8GB RAM, dual AKG speakers, and a 4,000 mAh battery. 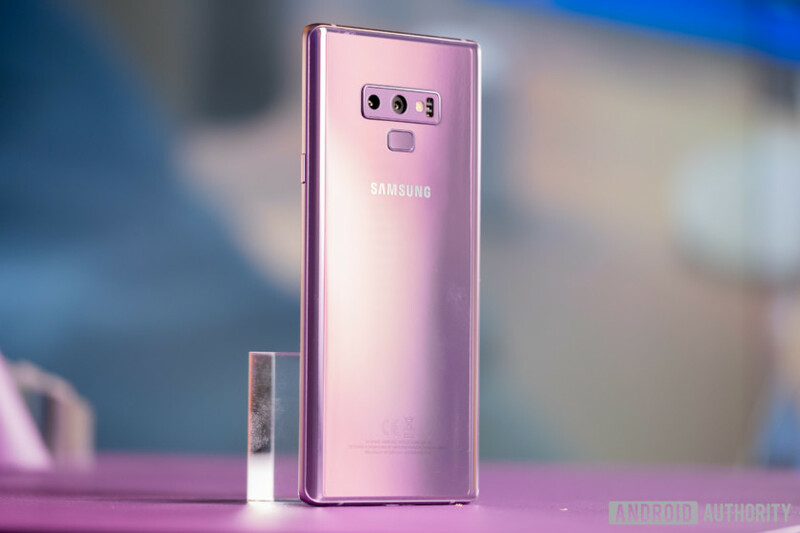 Samsung is using the same 12-megapixel dual-aperture camera system it used in the Note 8, with the addition of an Intelligent Camera function that’s able to detect what you’re taking a photo of. Samsung says that with the Snapdragon 845, it has included “Water Carbon Cooling System” inside the phone for improved performance with processor intensive apps such as Fortnite. 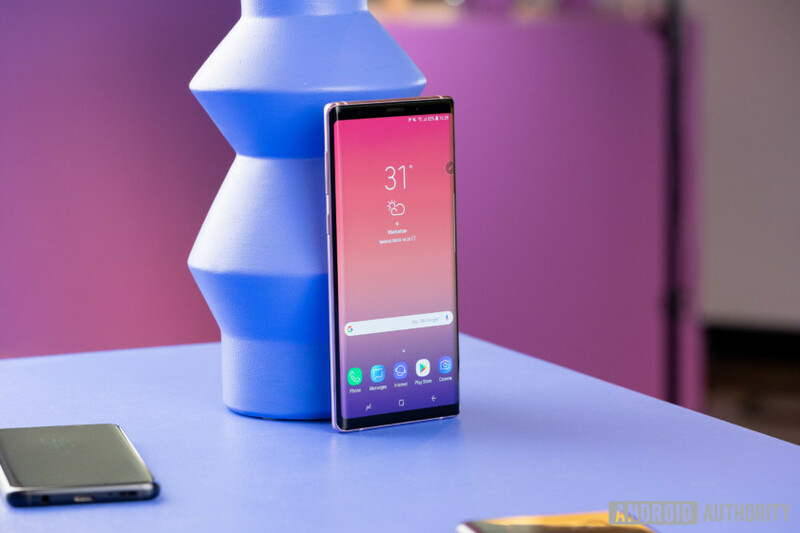 The S Pen that comes with the Galaxy Note 9 introduces new Bluetooth-enabled features that allow it to be used to control the camera of the device for taking selfies and other photos, control video playback, and more. Samsung has created an SDK that will let developers integrate the S Pen into their apps, and that will be available later this year. The Galaxy Note 9 works with DeX, Samsung’s feature that allows a smartphone to be docked to a desktop and used with a mouse and keyboard. The Note 9 DeX implementation does not require a dedicated dock, instead using a USB-C to HDMI adapter. The smartphone also features a USB-C port, a headphone jack, a front-facing iris scanner, and a fingerprint reader that’s centered at the back of the device. Though Google just introduced Android 9 Pie, the Note 9 will come with Android 8.1. Samsung is pricing its Galaxy Note 9 at $1,000, the same price as the iPhone X, with the entry-level model coming with 128GB of storage and 6GB RAM. A version with 8GB RAM and 512GB of storage will be priced at $1,300. Pre-orders for the Galaxy Note 9 start tomorrow ahead of an August 24 launch. 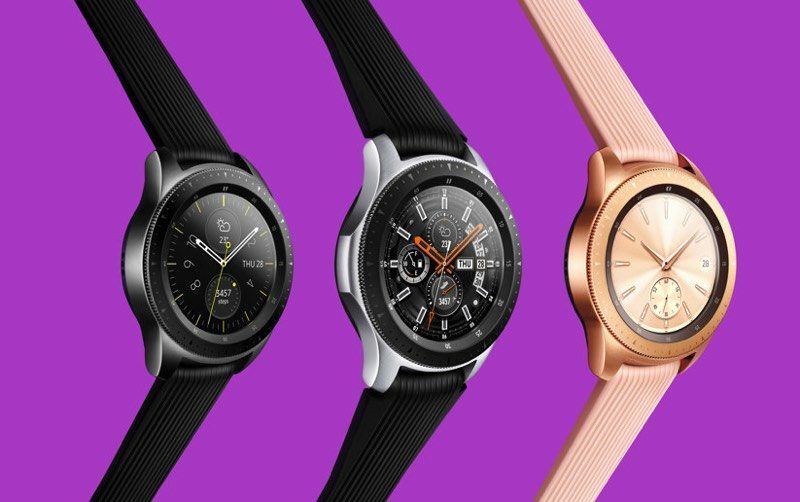 Alongside the Galaxy Note 9, Samsung introduced the new Galaxy Watch, an LTE-enabled device that’s been designed to look like “a real watch” with a circular face and bezel that doubles as a control unit. It offers up Corning’s DX+ glass and better battery life than previous Samsung smart watches, with Samsung claiming that it will last several days on one charge. Much like the Apple Watch, it offers a breathing guide to calm you down, heart rate monitoring, Bixby support, 39 workout types for fitness, and it’s able to detect six common exercises automatically. Unlike the Apple Watch, though, the Galaxy Watch tracks sleep quality. 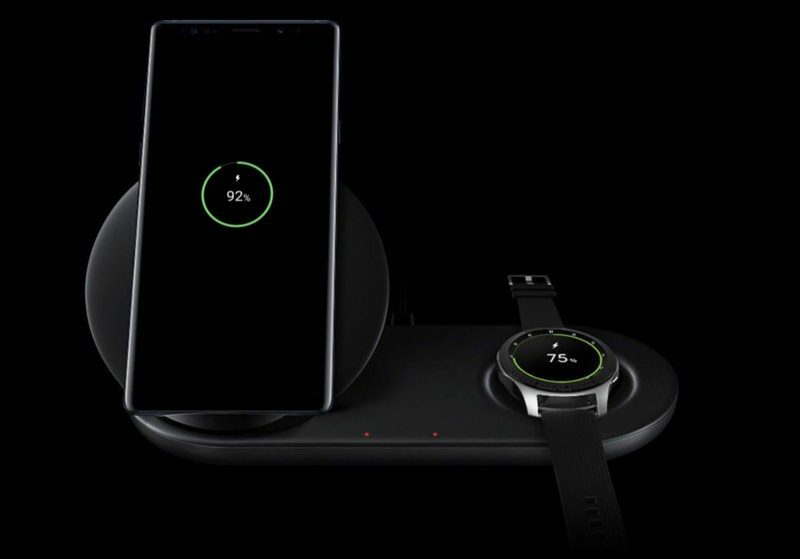 To charge the Galaxy Note 9 and the Galaxy Watch, Samsung has introduced an AirPower-like Wireless Charger Duo that’s able to charge the watch and the phone at the same time. Samsung is also getting into the smart speaker market with the Bixby-enabled Galaxy Home, which is designed to compete with Amazon Echo, Apple HomePod, Google Home, and other smart speaker options on the market. 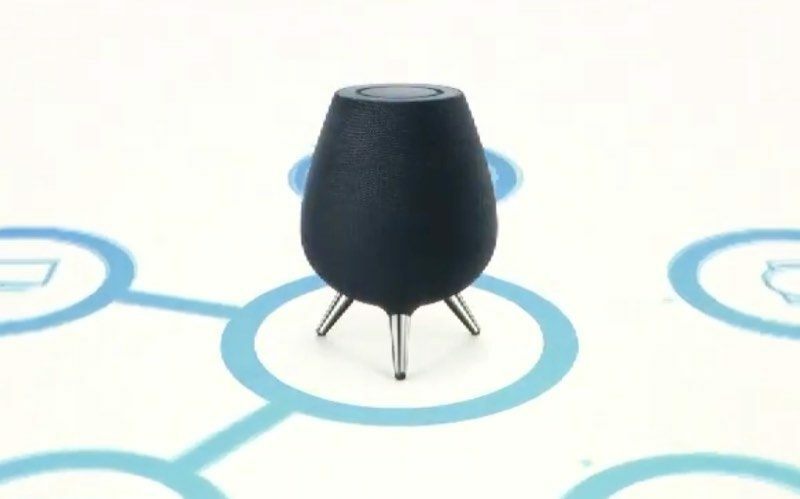 Galaxy Home works with Bixby, and Samsung says that its design is able to send sound in every direction. For Galaxy Home and across Samsung’s other devices, Samsung has teamed up with Spotify for a “true cross-listening experience” that lets Spotify be used seamlessly across Samsung devices. 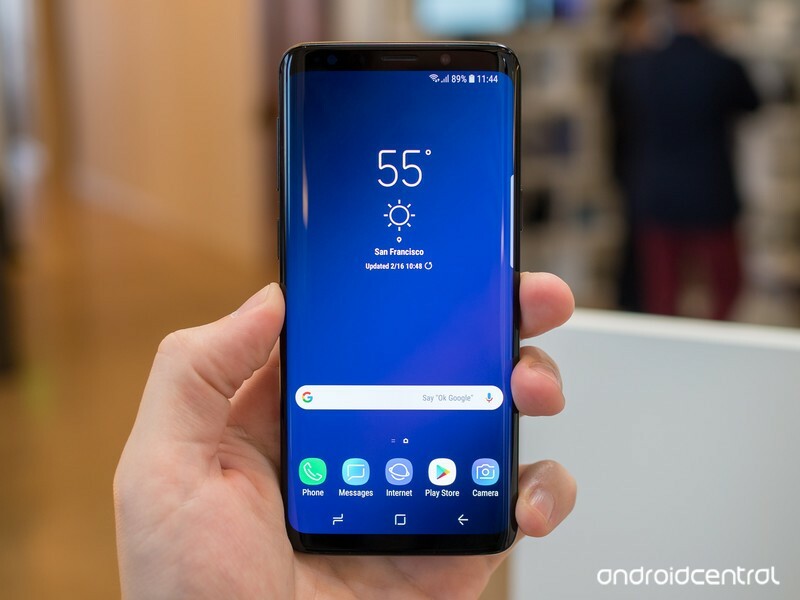 Spotify will be part of the setup process on all Samsung devices, including Samsung smartphones, the Galaxy Home, and Samsung Smart TVs, with Bixby integration coming to Spotify. Eight years of the Galaxy Note have gone by, and ahead of a momentous year next year, Samsung has unveiled its latest flagship. 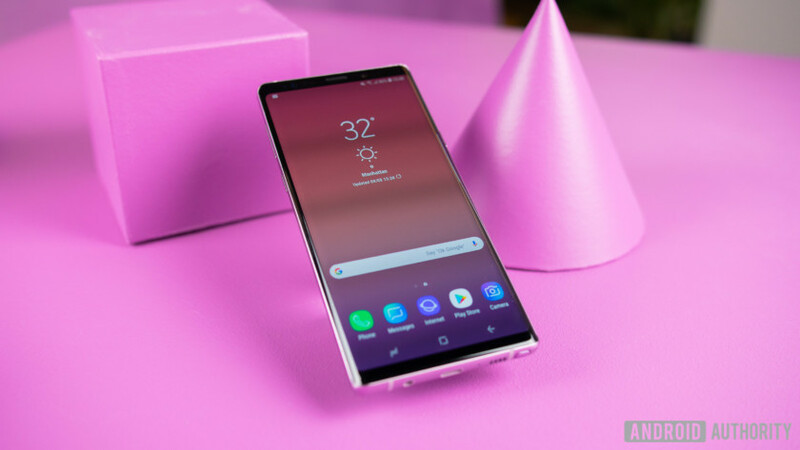 The Samsung Galaxy Note 9 builds on the Galaxy S9 Plus with the addition of the S-Pen, as well as some intelligent features in the camera. But is it the Samsung revolution we’ve been waiting for? Join us as we go hands-on with the Samsung Galaxy Note 9! Galaxy Note 9 design and specs: What’s new? 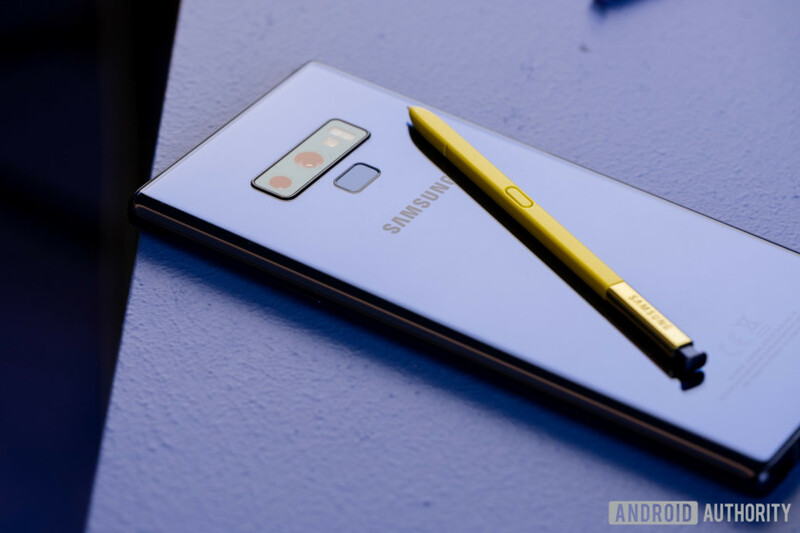 The Galaxy Note range has always stood out thanks to the S-Pen, and the Note 9 is no different. The S-Pen now supports Bluetooth LE, allowing it to act a remote control for your smartphone. The Bluetooth button is programmable so you’re able to customize what apps or shortcuts are activated with a single press, double press, or press-and-hold. Using the S-Pen, you can launch the camera, switch to selfie mode, and hit the shutter button. For example, taking a group photo can be quite difficult, but with the updated S-Pen, you can launch the camera, switch to selfie mode, and hit the shutter button. Of course, Bluetooth means the S-Pen now has to charge, and this stylus comes with a super capacitor allowing you to dock it into your phone and charge it to full in just 40 seconds. There’s no word on how big the battery is, but Samsung says a full charge should be good for 200 clicks or 30 minutes of standby. 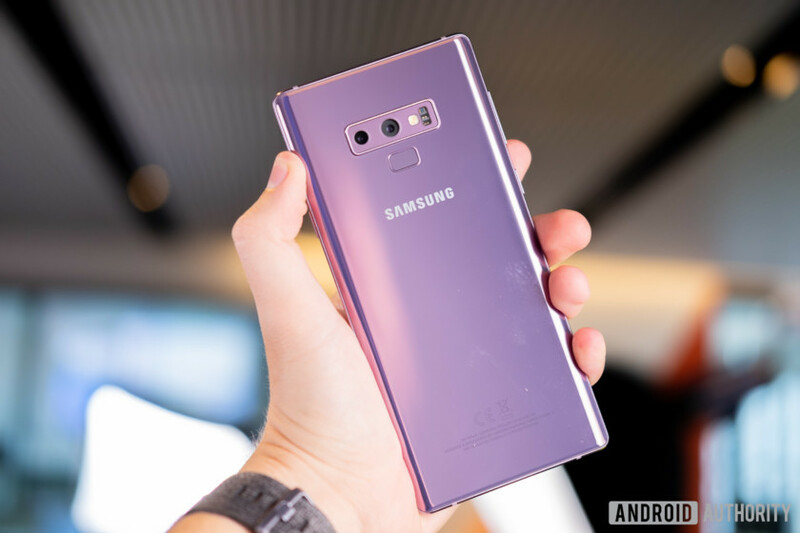 The Galaxy Note 9 will be available in two colors in the U.S. — Lavender Purple and Ocean Blue — while the midnight black and metallic copper colors will be globally available. 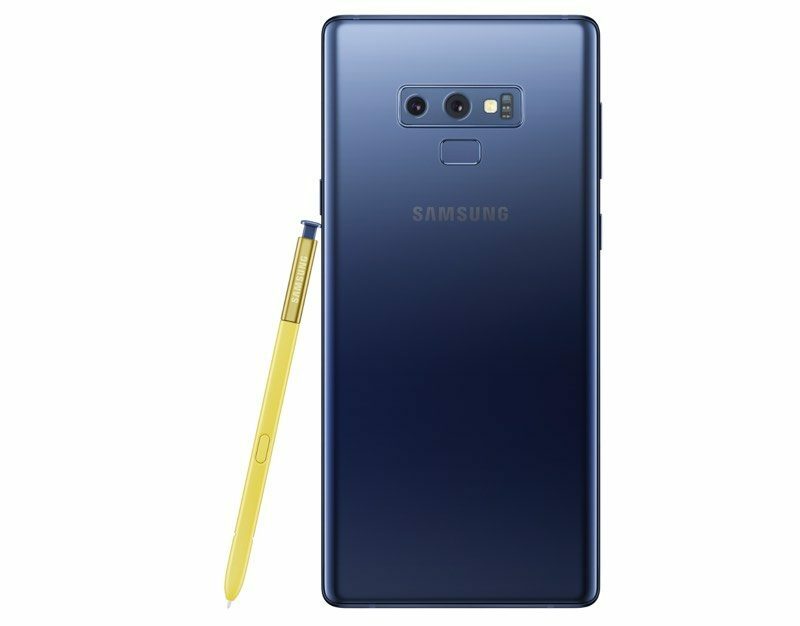 The S-Pen has also had a small makeover, with the Ocean Blue Note 9 sporting a yellow S-Pen, and the other colors having a matching S-Pen. The S-Pen also offers screen-off memo like in previous years, allowing you to capture a note on the screen with the display turned off. But now, the text written in screen-off memo mode will now automatically match the color of your S-Pen. Pretty cool! As you might expect, Samsung opted for the latest hardware inside the Galaxy Note 9. The 6.4-inch Quad HD+ Super AMOLED display is a tad larger than the 6.3-inch panel found on the Galaxy Note 8. Its powered by the Snapdragon 845 SoC and comes in two options — the base model has 6GB of RAM and 128GB of storage, while the premium version has 8GB of RAM and 512GB of storage. 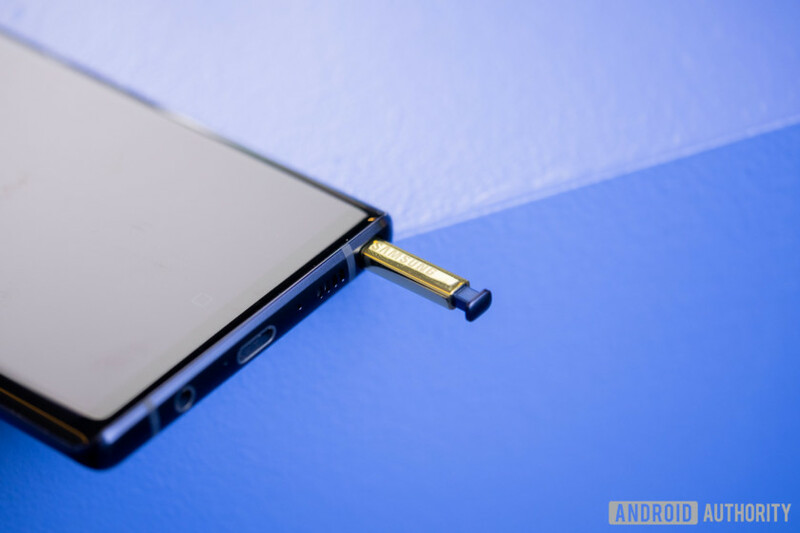 There’s also a microSD card slot supporting up to 512GB of additional memory, so theoretically you can have 1TB of overall storage on your Note 9. Most people won’t need that on a smartphone, though. The biggest improvement over past devices is the 4,000mAh battery. Samsung claims this offers all-day battery life, but the company has said that about its previous devices as well. The Galaxy Note 8 had a 3,300mAh battery and offered around six hours of screen-on time, so we’d expect the Note 9 to offer between seven and eight hours. The Note 9 also offers fast wired and wireless charging, with support for both Qi and PMA wireless charging standards. There’s also a ton of other hardware features packed into this phone, including LTE Cat. 18 with 4x4MIMO and Carrier Aggregation offering 1.2Gbps download speeds, Bluetooth 5.0, a heart rate sensor, iris scanning, pressure sensor, and more. The fingerprint sensor is on the rear underneath the camera (just like the S9) and Samsung’s Iris Scanning face unlock feature offers another way to unlock your phone. 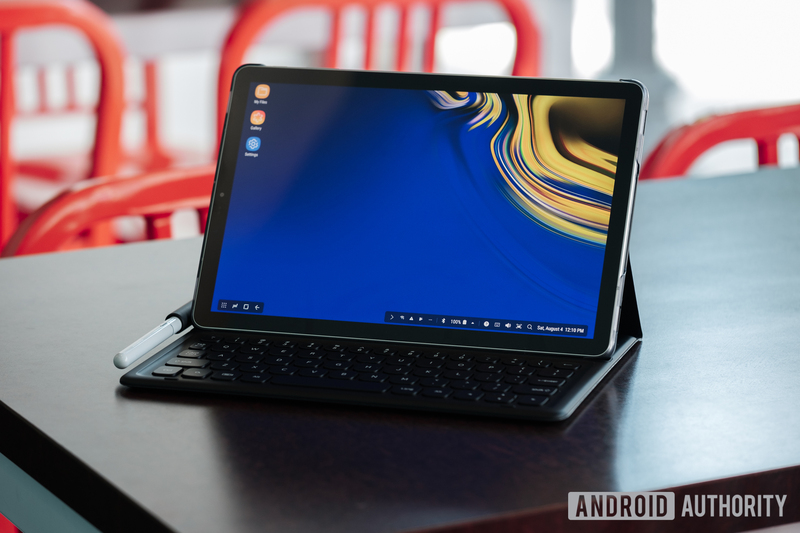 Like the Samsung Galaxy Tab S4 that launched last week, the Galaxy Note 9 can run Samsung’s Dex desktop solution out of the box without the need for a docking station. Combined with the Bluetooth S-Pen and an HDMI cable, this means you can use just your Galaxy Note 9 for an entire presentation. When in Dex mode, you can use the Note 9 as your trackpad and mouse, and the on-screen keyboard will automatically pop up when you select a text input field. The camera offers similar hardware to the Galaxy S9 Plus and Galaxy Note 8 but adds intelligence in the form of scene and flaw detection. The camera offers similar hardware to the Galaxy S9 Plus and Galaxy Note 8 but adds intelligence in the form of scene and flaw detection. The camera features the same dual-sensor setup with dual OIS that debuted in the Galaxy Note 8, as well as the super speed dual pixel and dual aperture features found in the Galaxy S9 Plus. The camera’s new scene optimizer feature means Samsung has finally caught up to devices like the Huawei P20 Pro and LG G7 ThinQ that use AI, neural networks, and on-device machine learning to automatically improve your photos. Like other phones, the Note 9 is able to automatically detect the subject of a scene and fine tune the settings to match the scene. During our brief testing, we found it boosted the colors in a photo of flowers and — compared to the Galaxy S9 Plus — resulted in a picture that was more pleasing to the eye. The Note 9 can automatically detect 20 different scenes. Samsung says professional photographers helped the company to fine tune the custom settings for each of these scenes. The flaw detection feature could prove to be useful, although we weren’t really able to test it during our brief look at the Note 9. We’ve all taken a photo that we thought was going to be great, only to find out it’s slightly blurry, someone blinked, the lens had a smudge, or the backlight made the photo unusable. Samsung says that flaw detection means the Note 9 will automatically tell you when there’s a problem with the photo, so you’re able to recapture it straight away before the scene disappears. The rumors were true: Fortnite is available exclusively on Samsung Android phones for a short period. The rumors were true: Fortnite is available exclusively on Samsung Android phones for a short period, beginning tomorrow, August 10. Anyone with a Samsung device from the Galaxy S7 and upwards can download Fortnite from the Samsung Game Launcher tomorrow. 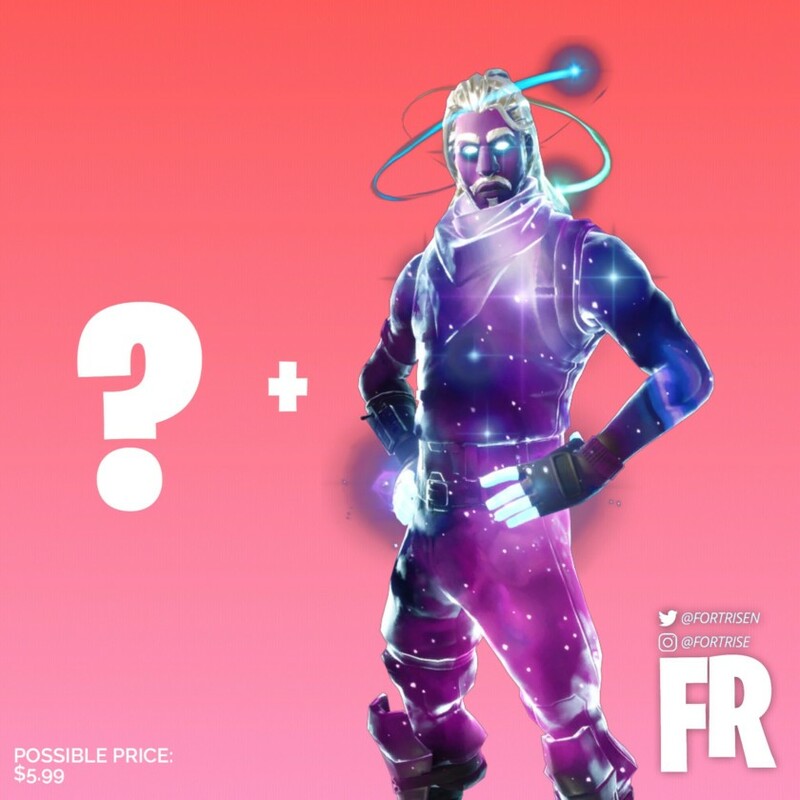 Galaxy Note 9 and Samsung Galaxy Tab S4 users who download Fortnite will also get an exclusive skin. The Galaxy Note 9 will be available in stores August 24, with pre-orders launching tomorrow, August 10 at 12:01 a.m. EDT. The base model with 6GB of RAM and 128GB of storage will cost $999, while the version with 8GB of RAM and 256GB of storage is priced at $1,249. Anyone who pre-orders before August 23, 2018 can choose between a pair of noise-cancelling AKG headphones or 15,000 v-bucks for use in the Fortnite game. Alternatively, if you can’t pick between the two, you can have both of them for a one-off payment of $99. 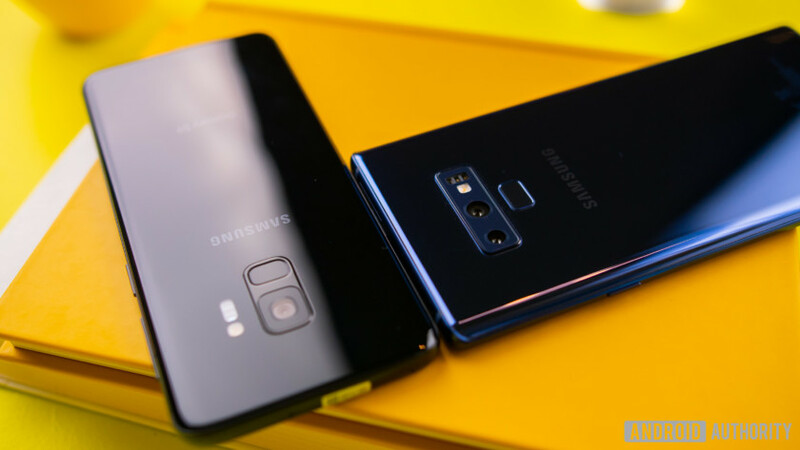 The Galaxy Note 8 was one of the best phones last year, and the Galaxy S9 Plus continued that trend. The Galaxy Note 9 hopes to build on this, but with very small tweaks over previous generations it remains to be seen whether an exclusive tie-up with developer Epic Games on Fortnite is enough to make this a best-selling smartphone. What do you think of the Galaxy Note 9? Are the small changes and an exclusive tie-in with Fortnite enough for you to buy Samsung’s new flagship? Let us know your views in the comments below! Amidst growing concerns over national voter fraud during major elections, a microscope has been turned on Georgia where concerns over inflated voter numbers, phony ballots, and poor voting machine security following the state’s 2018 primary election. In one grievous instance, a precinct with just 276 registered voters recorded 670 ballots, a 243-percent turnout. Election interference is one of the largest talking points in the U.S. and has been since the 2016 presidential election. As we move toward the midterm elections in November this year, even greater scrutiny is being faced by states that appear more susceptible to it than others. Georgia has swiftly arisen as a state with most concern, with a number of noted instances of problems with voting in the primaries that took place in May this year. A federal lawsuit against the state has begun to turn up evidence of a number of notable problems with the primary voting procedure. McClatchy reports massive swings in registered voter numbers, testimony from many voters who found themselves turned away at polling stations or told to go elsewhere, the issuing of incorrect ballots, and major issues with the voting machines themselves. Georgia is just one of four states that use voting machines which cannot and do not provide a paper proof of a vote, making them hard to audit. The 16-year-old machines have suffered freezes and crashes on election days, and as Ars Technica highlights, key data that showed poor security on these machines mysteriously disappeared during a 2017 investigation. Georgia’s Secretary of State, Brian Kemp, has promised to conduct a bipartisan investigation into changing voting machines before the 2020 elections, though that would not take place in time for the 2018 midterms. However, that may not be necessary, as a group of senators on both sites of the aisle have called for a ban on all paperless voting machines. While it is far from being passed into law, it may well provide more protection against voter fraud in the future. Some hope that blockchain technology might provide a better system for voting security, but it’s no silver bullet to a problem that appears only more stark as the midterms draw closer. Corel’s Photoshop competitor PaintShop Pro is getting both new tools and a performance boost. On Thursday, August 9, Corel launched PaintShop Pro 2019, an update to the popular photo editor that expands creative tools, enhances performance and simplifies usability. Among the changes are new 360 photo editing support and an artificial intelligence tool that mimics classic painting styles. The 360 photo support adds a handful of features unique to immersive photography. A tripod removal tool, for example, allows editors to select a tripod (or even a drone) to remove it from the image. A straightening tool is also included. PaintShop Pro 2019 can also convert a 360 photo into different formats. Tiny Planet wraps the view around a sphere, Rabbit Hole inverts that sphere or editors can convert the image into a panorama. The conversion tools allow for dragging the field of view or altering the aspect ratio. PaintShop Pro’s adjust and effects menu can also be used with 360 photos. Along with the 360 photo compatibility, the update brings what Corel calls Pic-to-Painting. The tool uses artificial intelligence to convert the image into a style of painting, popularized by mobile apps like Prisma. Users choose a painting style and adjust the strength — the effect then becomes a new layer on the image, allowing for additional edits. Pic-to-Painting is a free plug-in available for the 2019 software, a decision that Corel says was made to keep the footprint of the program small. The updated features come with faster performance for existing tools, including crops, cloning, and the One-Step Photo Fix. Corel says that the update focuses on improving performance for the most used tools. The update also enhances 4K stylus support, adds support for more stylus and graphics tablets, and includes support for over 100 new RAW file types. The performance updates and new tools join enhancements to the program’s usability. The crop workflow is enhanced with four new shortcuts in a toolbar above the crop tool. The custom content including plug-ins, brushes and other third-party content also automatically updates with from older versions of the software, by up to three versions. Users can also change the font size on the user interface. PaintShop Pro 2019 is available for about $80, or bundled with PhotoMirage Express, Painter Essentials, Perfectly Clear 3.5 SE, Corel AfterShot3 and Creative Collection for $100. Existing users can upgrade for $60 for PaintShop Pro only, or $80 to upgrade the bundle. Is your Google Pixel phone downloading Android 9.0 Pie at this very moment? Or maybe you’re eagerly awaiting an update to your Samsung, LG, or OnePlus phone for the latest version of Google’s mobile operating system? Either way, you’re about to have a serving of Pie, and we know what ingredients work, and which ones don’t. There are plenty of great features in Android 9.0 Pie, and it’s tough to single out any one as its best. Therefore, here are some that we really love, because they improve Android in a meaningful way that we’ll want to use on a daily basis. Google has introduced a new app navigation system when you swipe up from the bottom of the screen. Open apps appear as cards that are swiped through from left to right, rather than vertically like in older versions. Swipe up to dismiss, or down to enter. It’s smooth, fast, easy to manage with one hand, and you can easily see the content where you left off. However, it’s the fast access to recently used apps at the bottom of the screen that really works well. Swipe it up again to enter the full app drawer. It’s a delight to use, and a big enhancement over previous versions. It will also work really well on longer 18:9 aspect ratio screens. Google also gets gesture controls right in the open app tray, but doesn’t quite succeed when it comes to gestures to completely control Android 9.0 Pie. Whether you’re viewing them on the lock screen, muting them, scheduling them to appear later, scrolling through them in the notification shade, or interacting with them — notifications are one of the biggest improvement in 9.0 Pie over previous Android versions. They look better thanks to a new font and more minimal design. The OS will even recognize if you never click on a notification, and it will suggest blocking that app’s notifications completely. The Do Not Disturb feature is comprehensive, and covers calls, notifications, messages, reminders, and plenty more. It’s now dead simple to use, as turning it on will automatically block all visual and sound interruptions. You can customize this further if you want. Sold as a way to reduce the time you spend on your phone, Digital Wellbeing — which is a beta service at the moment and only available on Pixel phones — is better employed as a way to minimize distractions, and make your phone a more pleasant companion. We love the Wind Down grey-scale option, where the screen goes completely grey at a set time to remind you it’s time for sleep, while cutting down on harmful blue light from the display. There’s plenty of options to tweak, and some interesting graphs to browse related to time spent on the device too. While we like this, we’re not sure it’ll be widely used. Hopefully, the basic functions will encourage further use. We like anything that potentially saves us time and effort, and App Actions promises to do that. These contextual shortcuts appear in the app drawer, and are suggestions on features, apps, or services that you may want to activate based on your habits and time of day. For example, in the morning it may provide a shortcut to Google Maps and your route to work, or to open a playlist when you plug in or connect headphones. You don’t need to do anything to make App Actions operate either, just use your phone normally and they’ll learn as you go. Not all the improvements are major changes. We like some of the little things too. Android 8.0 Oreo’s on-screen volume control was already better looking than before, but in 9.0 Pie it functions better too. Media volume is prioritized, and a tap of the musical note icon instantly mutes the audio, while the settings cog opens a wider menu. There’s also now a way to prevent accidental screen rotations thanks to a new icon that appears in the bottom navigation bar. Additionally, screenshots are much easier to edit, and the new font looks great. The more you use Android 9.0, the more you’ll appreciate these little changes. Project Treble is the name given to Google’s solution to the OS update problem, and it’s a considerable step forward (it was technically introduced in Oreo). More phones will be eligible, quickly, for the new version. Not only did the beta version of Pie come to more devices, but the final version is also ready for non-Pixel and Nexus phones on day one. The Essential phone’s update, for example, is out right now, and that’s a first for a new version of Android. Also, all the other non-Pixel phones in the beta test will receive the update in the near future. It’s a positive step, and one that should only improve with future versions too. It’s hard to call any of the alterations made to Android in version 9.0 Pie “bad.” Plus, what we don’t like, others may find helpful, mainly due to Android’s customization and how we all choose to set the device up. However, there are a few features which either don’t live up to expectations, or potentially bring about changes that we don’t always like. Many have tried, but it’s very hard to beat the traditional three-button Android navigation system. Now it’s Google’s turn to change it, prompted by the emergence of devices with larger screens, smaller bezels, and cleaner lines. And definitely not influenced by the iPhone X’s gesture controls. Nope. Google’s new gesture control system is based on a complicated system of swipes and taps, and we expect these systems to be easy to master in just a few moments. However, it’s not very logical in Pie, and there are a few too many gestures to memorize quickly. Google can’t even totally commit and has still included a tiny Back button to confuse us even more. It’s early days, but we definitely still prefer the traditional Android buttons, and are pleased they have not been replaced entirely yet — that might change with the upcoming Pixel 3. We expect Google to continue enhancing the gesture navigation system, and for it to improve over the coming months. It’ll inevitably be compared to iOS’s gesture controls, but it’s simply not as smooth or as intuitive. Artificial intelligence doesn’t need to be included in every aspect of the phone, Google, and we feel the brightness control should be left down to either the ambient light sensor or the slider control. The ambient light sensor often makes a mess of its adjustments, and having another digital overseer playing about with the brightness now based on usage seems like overkill. Potentially annoying overkill too. Thankfully, if it’s a pest you can turn it off, but that just makes us question its usefulness even more. Android 9.0 Pie for the most part is visually very attractive. However, it has been pointed out that the new notification shade shortcut icons are housed inside some very large, obvious, and rather jarring circular buttons, where traditionally the shortcuts have been laid across a blank background. Additionally, depending on how you set up your phone, getting to the settings menu now takes an extra step unless you include a shortcut icon on your home screen. What works for some in Android 9.0, may not work for others. There are plenty of people that hate the notch, but its existence is not going away any time soon, and now Android supports it natively, meaning there are likely to be plenty more examples to look on with disdain. The feature itself makes good sense, as it allows the screen to adapt to the presence of a cutout, and still display information correctly without the manufacturer having to independently change the software to cope. However, that won’t appease the haters. This is also a good example of a feature that some will welcome, and not dislike. Those who don’t mind the notch will rejoice that phones with the design feature will operate properly. Yes, Project Treble will help other Android devices get version 9.0 Pie potentially faster than before, but this doesn’t help the many devices that aren’t running a recent version of Android, or those which have heavy manufacturer customization. If you’re reading this months after the public release of Android 9.0, and still haven’t seen an update on your phone, it won’t be a massive surprise and that’s a big problem. If you haven’t got Android 9.0 Pie on your Pixel or other compatible phone yet, then here’s what you need to do to get it. Knox is Samsung’s tool to separate your data from your work, but it can be useful for everyone, too! A lot of people use their own phones for work; BYOD (Bring Your Own Device) policies are getting more and more popular as phone prices keep rising and consumer models become more secure. We’ve seen Enterprise-level programs for mobile from both Apple and Google, but perhaps one of the easiest to use — both for you and any IT manager — is Samsung Knox. If you have a Galaxy S phone that’s not more than a couple years old, you probably have Samsung Knox software on it. It’s not really something you can install because it’s part of the Android OS the way Samsung builds it and it isn’t any sort of app or support library. Knox is part of Android if it’s installed, and people who don’t want it know how difficult it can be to erase. 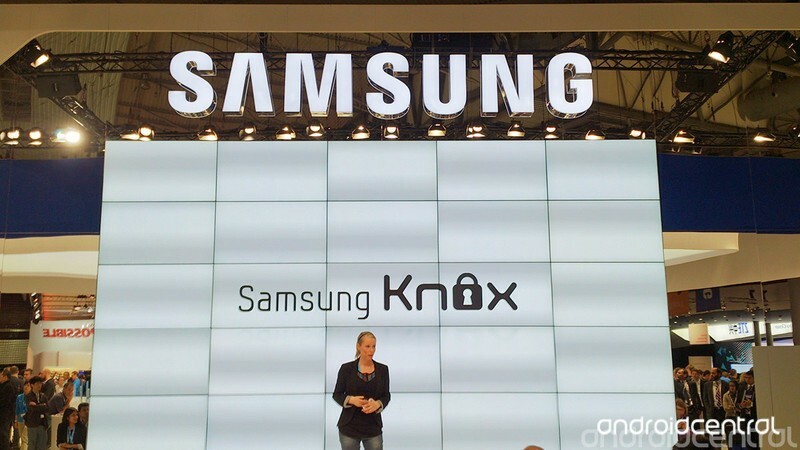 Let’s take a look at exactly what Samsung Knox is and what it does. Samsung Knox is a special security layer found in top-tier Samsung phones that can separate and isolate personal and business user data. You can almost think of it as a way to turn one phone into two because of the way it manages apps and the data those apps create, as well as any data you enter into them. Knox has been hacked, but only by people who hack secure products for a living and then help patch any exploits they find. You migrate between the two layers by tapping the Knox icon and entering a password. This password is unique and separate from any password you use to unlock the phone, so even if someone were able to bypass the lock screen the Knox secured data would be inaccessible without some really fancy tricks by people who try to defeat secure software as their living, then help to patch things so those tricks no longer work. By default, once you enter the Knox-protected side of your phone you only have access to a few apps — Camera, Gallery, Email, My Files, Phone, Contacts, Samsung Internet Browser, Downloads, and S Planner. You can add other apps to the Knox-protected layer and they will be “copied” to a place where they and their data is kept separate from the same app on the “regular” layer in your phone. Knox needs two things in order to work. You need the right device — not all Samsung phones (or watches and tablets) support Knox, and you can see the list of supported devices here. You’ll also need the right software and you can find Samsung Secure Folder in the Play Store if you use a compatible phone to search for it; it’s not going to show up if you’re using a device that can’t install it. Knox is also software your company’s IT department can use to manage everyone’s device. There’s also a third important component that can be used for Enterprise management — Knox Premium or an equivalent. This isn’t something you would use at home (but you could if you really wanted to) and it’s a way for an IT department to manage the Koox layer on phones that are part of the server’s group. It’s basically a cloud-based management solution built to work with Knox, and a turn-key secure platform. You can learn more about it here and if you’re an IT professional looking for a multi-device management solution you can talk to a representative from any of the four major U.S. mobile carriers for quotes. Knox is certified for use in government installations in the following countries: Finland, France, Kazakhstan, Netherlands, Spain, The United Kingdom, and the United States. It’s also FIPS 140-2 and ISCCC complaint in certain configurations. What this means is that organizations like the U.S. Dept. of Defense think Knox is safe enough for its employees (items with clearance levels of sensitive or lower) to use. That means it’s also safe enough for you. With Android Oreo, Knox was merged into Google’s Enterprise solution Android for Work to provide real-time protection of the Linux Kernel, malware checking and parts of the trusted boot procedure. You don’t have to use Samsung Knox, and unless you are the type who fiddles around inside your phone’s software you’ll never know it’s there. But if you have a phone that’s built for Knox, it’s free so you certainly can. Chances are you don’t carry Top Secret information around and nobody is tailing you and trying to steal your data. But people and organizations that do want to steal user data are opportunistic — you might not be a target, but they will be more than happy to get everything they could should they happen to find your phone. Using Knox to handle the things you think need to be secured is easy and has a good track record when it comes to security. Knox is free and you already have it — why not use it? Knox is also a great way to hide certain files and folders from others who might have access to your phone from time to time, like siblings or roommates. By placing an application inside Knox you have hidden it’s data unless you know the password, and you can also use the My Files app to secure any file or folder from prying eyes. You probably wouldn’t want to use Samsung Knox for your day-to-day things like text messaging or your contacts (though you could). But for anything you think is a little bit sensitive — think “things you would never want Mom to see” — Knox is a great way to secure them. You don’t have to be part of an Enterprise organization to value your privacy, and Samsung has given you a very good tool to do it with. 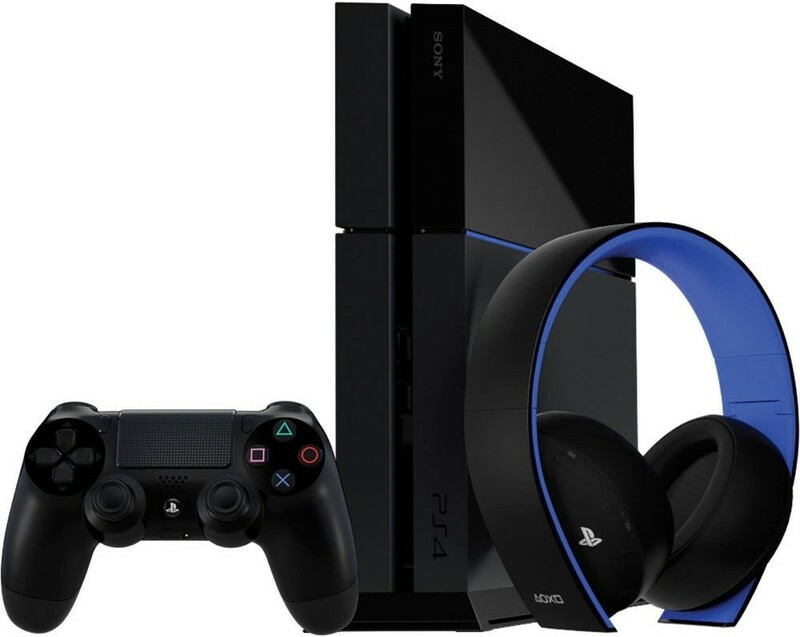 Up your PS4 audio game with these great headsets. What you can see is only a part of the gaming experience and for the best time, you need some quality audio. For the most immersive action, you should consider getting yourself a good headset. If you need some help choosing, here are six great choices covering all different budgets. Astro’s A50 Wireless may be pricey at $299, but the headset deserves consideration as it produces some of the finest sound you can find in a gaming headset. The A50 features Dolby 7.1 surround sound thanks to its built-in MixAmp DAC. The headset features 15 hours of battery life, and it can be charged back up by docking it into a magnetic charging cradle. 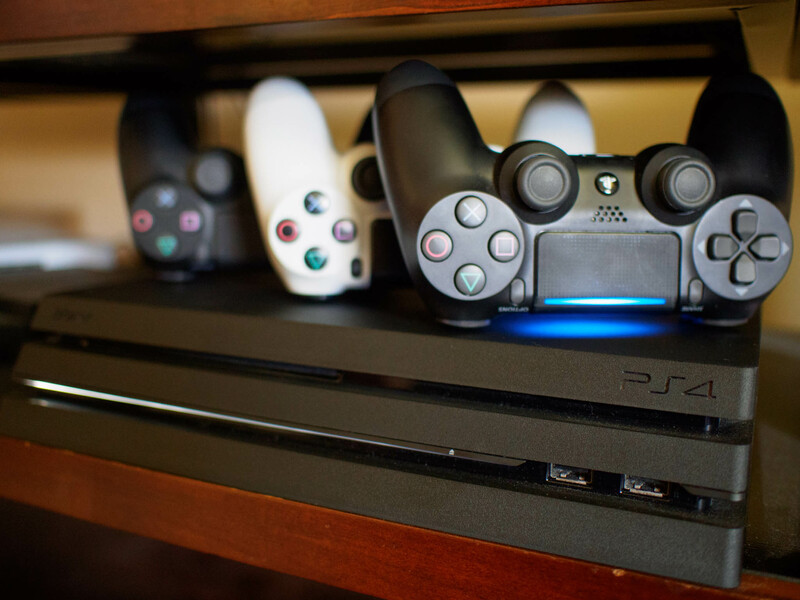 As far as wireless is concerned, it connects to the PS4 through a base station using a 5GHz wireless transmitter. This allows the headset to be completely wireless without the need for a chat cable. And, of course, all of Astro’s usual charm is still present. It’s one of the most comfortable headsets money can buy, and the ability to make it your own with custom ear cushions, headbands, and ear plates. Learn more about the headset by reading a review of the Xbox version produced by our friends at Windows Central. 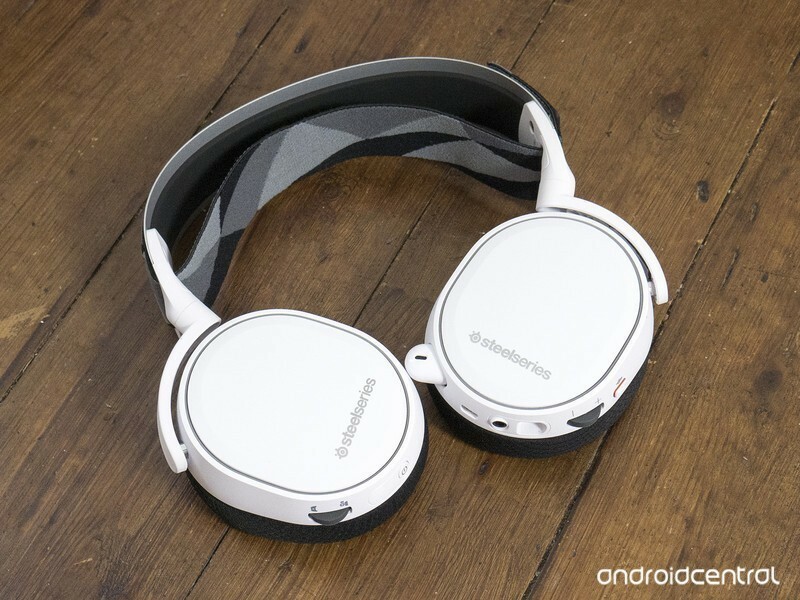 The wireless Arctis 7 from SteelSeries is one of the finest pieces of gaming audio you can ever put upon your head. It’s certainly one of the most comfortable thanks to its innovative “ski-band” design which suspends the headset using a taught fabric band. 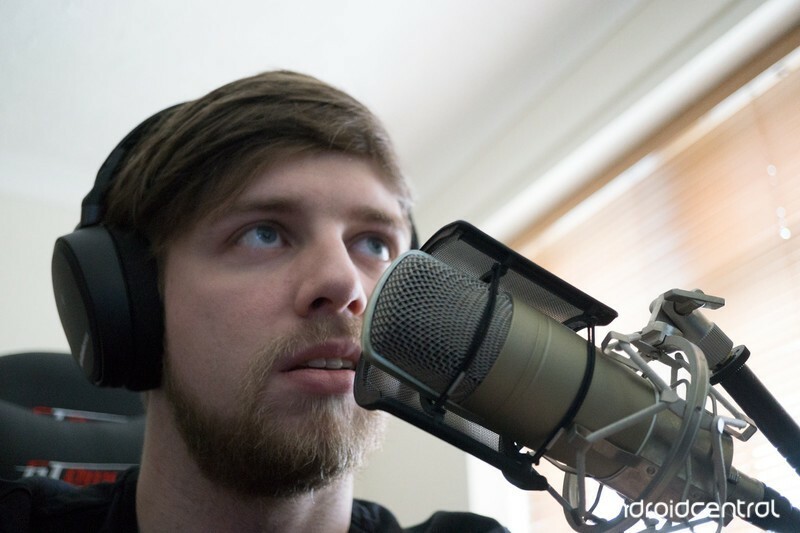 This allows the weight of the headset to be distributed much better and as such you can wear the Arctis 7 for long periods without getting fatigued. It hooks up to the PS4 or PC via the included USB dongle and features a retractable microphone with noise cancellation. You lose the 7.1 surround sound by using it with a PS4 over a PC, but you still get a rich, full sound that isn’t overly bass heavy but still allows you to feel the rumble when necessary. It’s available in a variety of colors for around $145, and for more check out a full review over on Windows Central. Sony has two wireless headsets, but it’s the lower cost Gold that gets our nod. It’s substantially cheaper than the Platinum wireless model at $85 while offering much of the same experience. This is a large headset that Sony has designed with PlayStation VR also in mind. The ear cushions are huge and soft and completely cover the ears, while the whole thing is nice and light so you can comfortably play for extended periods. The party piece is the companion app on the PS4 that allows you to tune the headset specifically to certain games. You’re getting 7.1 virtual surround sound, too, which for the price is astonishing. Just don’t lose the USB dongle, because you can’t buy a replacement. 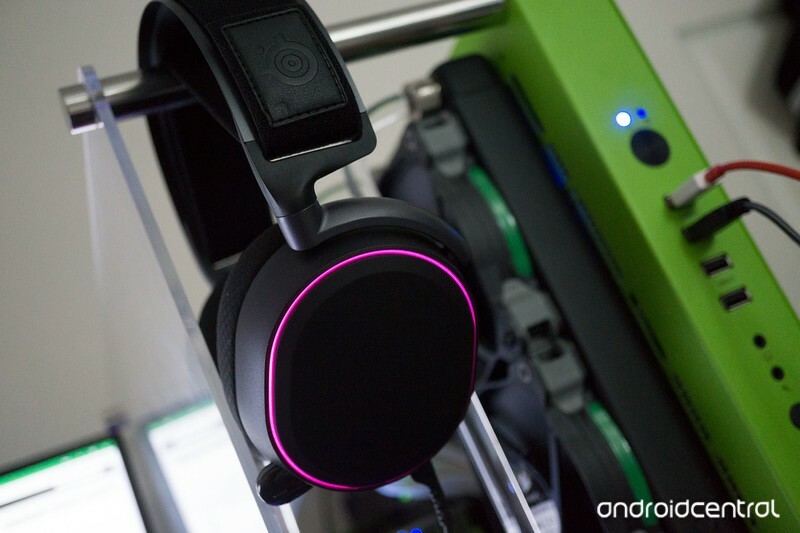 Astro makes a bunch of great headsets but its new entry-level model, the A10, is one of the most compelling. For starters, it’s really affordable at around $53, and it’s also wired for folks who prefer that. It’s also made from “damage resistant polycarbonate” so it should be able to take a beating in your gaming bag. The design definitely fits within Astro’s family, with large cups that cover the ears and nice big comfy memory foam cushions. The microphone isn’t retractable or detachable but does have a neat trick where it’ll auto-mute when you flip it up against the side of your head. At this price, you’re not getting much in the way of fancy features or surround sound, but you do get a solid, well made, great sounding headset with an inline volume remote so you never need to take your eye off the game. 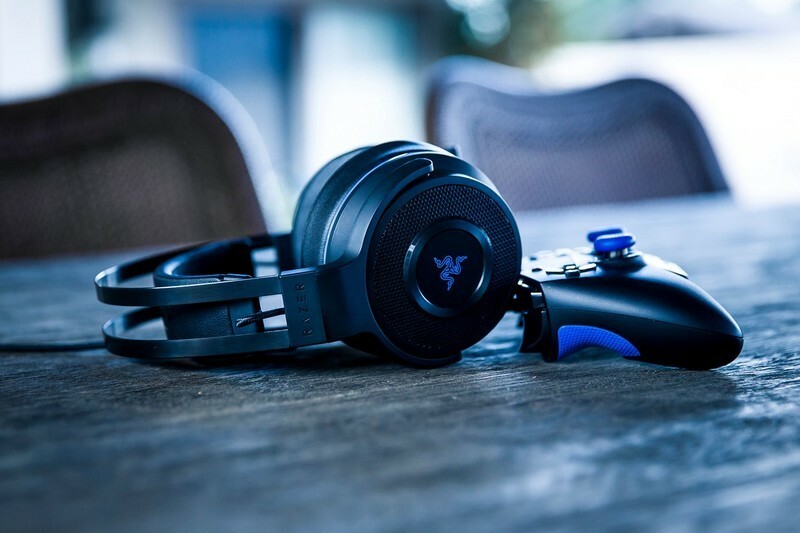 One of the more expensive headsets here, the Thresher Ultimate for PS4 from Razer is packed with features, quality and style. This wireless headset will deliver you Dolby 7.1 audio for an incredible, immersive experience in your games. It’s crisp and clear and you’ll hear every detail you need. It provides lag-free audio and voice at distances up to 12m (40 feet) and is designed to be worn by pro-gamers for long periods. The ear cups are large and trimmed in a leatherette material while being super soft and extremely comfortable. The included base station also allows you to quickly switch between playing on PS4 and PC with the same headset. It isn’t cheap at $250, but it’s called ultimate for a reason. 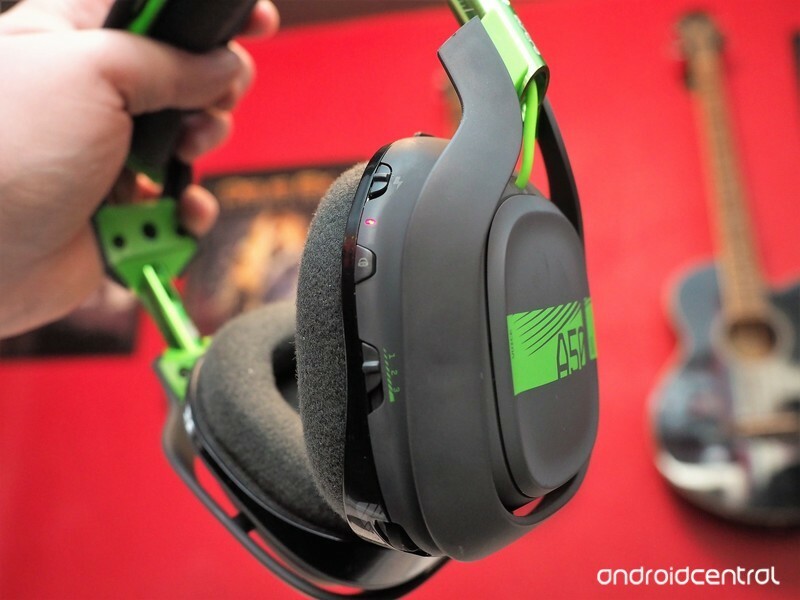 Be sure to check out the Windows Central review of the Xbox One version of this headset. The Elite Pro Tournament headset delivers stunning, crystalline audio combined with next-level comfort. The headset’s generous cushioning across the headband and earcups allow you to forget you’re even wearing a headset, reducing the physical delta between you and complete immersion. If you throw in the Elite Pro Tournament’s Tactical Audio Controller, you’ll end up with unprecedented control over your game. Adjust audio levels, surround sound modes, mic feedback and more without interrupting play. Every aspect of this experience simply screams premium. 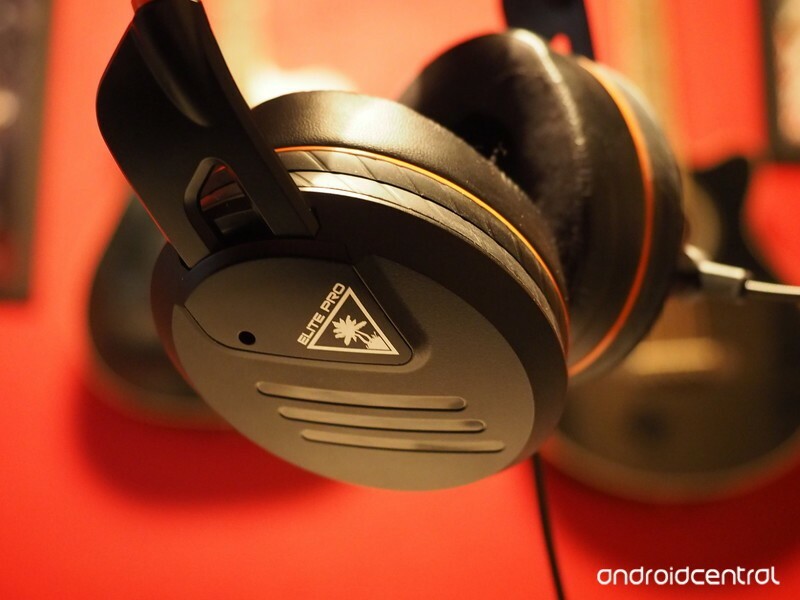 Turtle Beach has outdone itself with the Elite Pro Tournament headset. It will set you back around $200, or $350 if you throw in the audio controller, which is a lot, but you have supreme sound quality and ultimate control. The only difference between the RIG 400HS (PS4 version) and the RIG 400HX (Xbox version) from Plantronics is the color of the box, the console badge on the box and the color of the tag on the left side of the headset. Otherwise they’re exactly the same and it doesn’t matter which you snag, you can use both with both consoles. What you get though for $50 is a really comfortable, superb sounding wired headset with inline volume and microphone mute controls. The microphone detaches, too, even if you’re not that likely to use this as a pair of headphones. The ear cups are trimmed in fabric, thick and delightfully soft and they’re light enough that you’ll not be worried about fatigue at the crucial moment. There’s an awful lot of headset here for very little money. SteelSeries’ latest headset is the company’s approach to the ‘Pro’ market, taking on the likes of Turtle Beach, Razer and Astro Gaming at the very high end. What the Arctis Pro does is take everything that’s awesome about the Arctis 7, and turn it up a couple of notches. 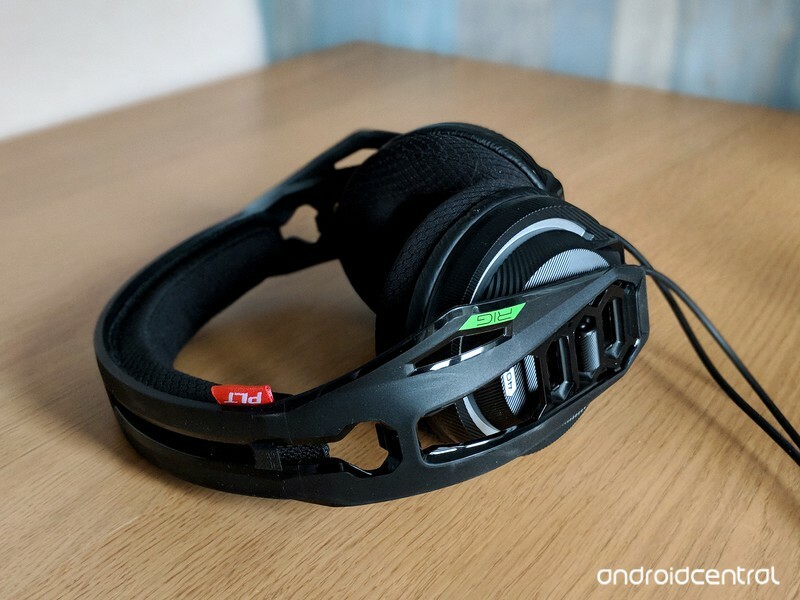 The skiband design remains so it’s super comfortable, and with the included GameDAC powered by an ESS Saber with an included amplifier, you get gaming’s first Hi-Res Audio certified headset. The sound is amazing, the comfort is sublime and while you’re going to have to drop $250, for serious gamers it’s money well spent. 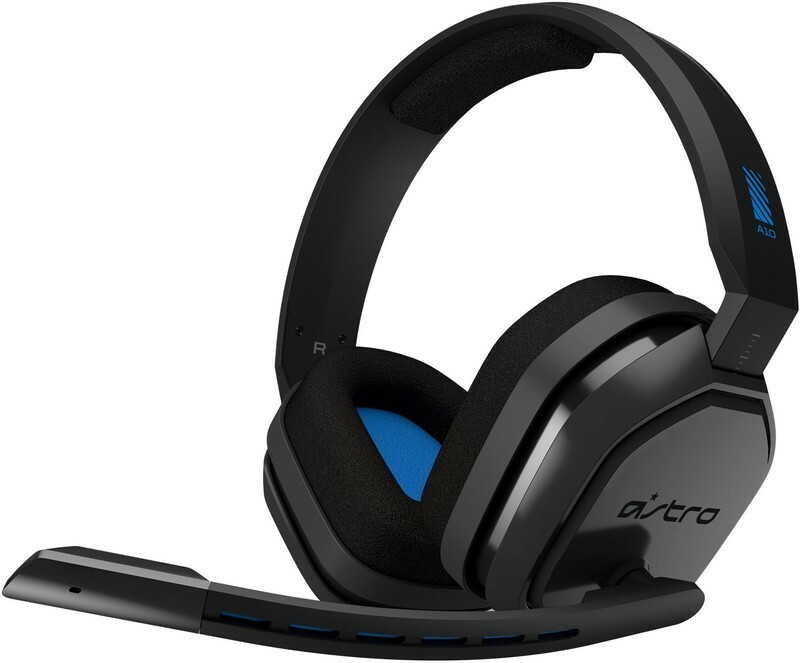 Updated August 2018: We’ve added one of the best wireless gaming headsets available to this list with the addition of the Astro A50 Wireless. OK, actually it’s only $98. And that makes it even better. There’s absolutely nothing wrong with being an audiophile. We should all want good audio. 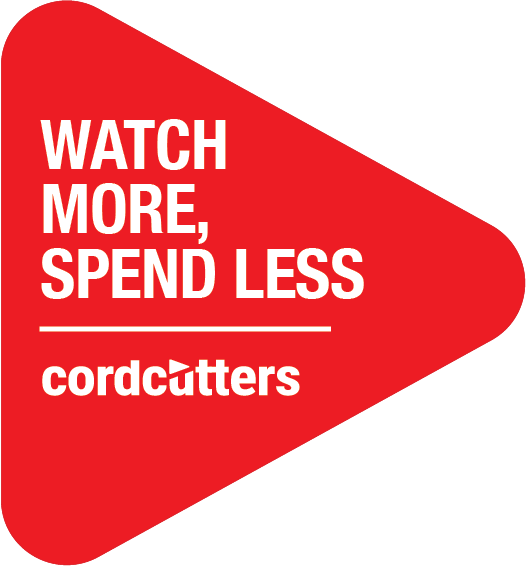 But we also know that the price of audio can increase exponentially as quality improves. And so there’s also nothing wrong with just wanting some decent audio. But they don’t have to. Sometimes a basic sound bar is all you need. And the Vizio SB362An-F6 turns out to be an excellent sound bar for the price, hovering just under $100. 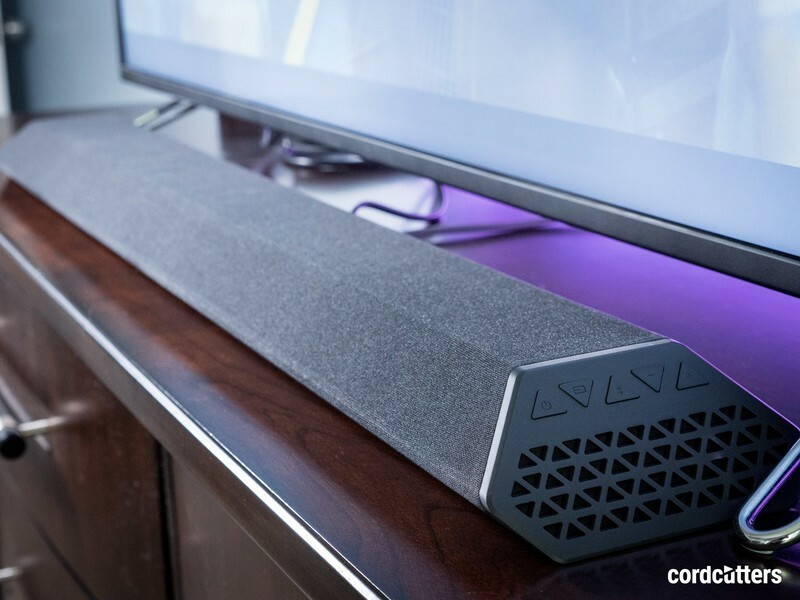 This is a no-frills sound bar. It’s got an optical input, and a 3.5mm aux input, and that’s it. No HDMI. No internet connectivity. And exactly zero hassle. It just works, and it sounds pretty darn good for $100. Certainly better than other sound bars we’ve used at that price point. This one’s definitely worth a look, whether you use Android TV, Apple TV, an Xbox or even an Amazon Fire TV. It’ll be hard to beat it for the money.